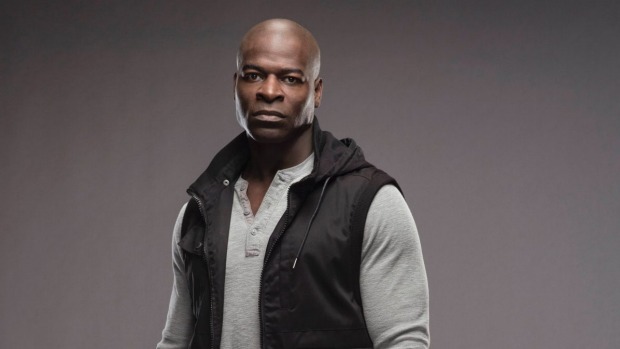 Allow me to introduce to you our next guest, Hisham Tawfiq. Since 2013 Hisham has played the role of Dembe Zuma on the NBC TV series, The Blacklist. On the show he has proven himself to be loyal to the man he serves to protect, Raymond Reddington (James Spader) and willing to risk his own life on a regular basis. In real life, Hisham is a man to be much admired. 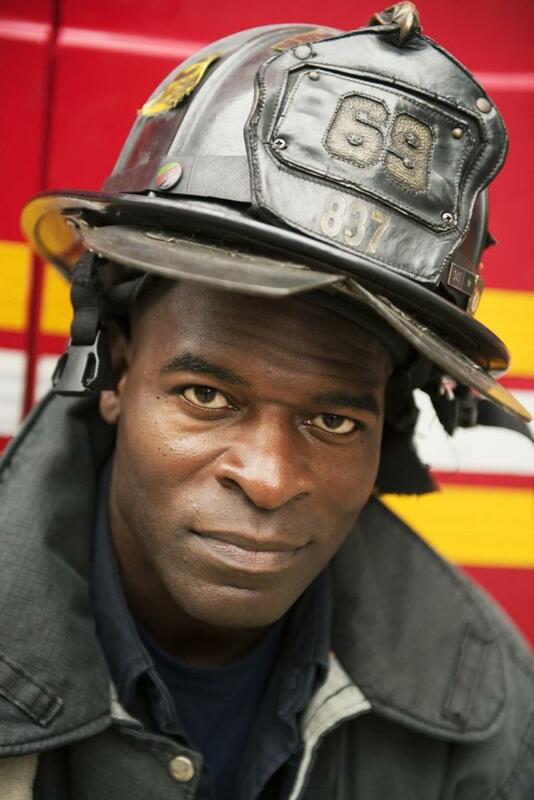 In my interview with him we explore, amongst other things: his childhood in Harlem, his service in the Marines, and the highs and lows of being a New York firefighter. He tells me about his character on The Blacklist and what it is about James Spader that makes him so special. PC: Can we start with your name, the meaning of it and how it was suggested you should change it, at one point. I know how hard my father fought to give me this name and the meaning of it, and not just the meaning of it, but also the history behind it, so I kept it. Hisham means ‘one who breaks bread’ or ‘one who shares’ and then Tawfiq means ‘blessings’ or ‘luck’, so that’s the meaning of my name. PC: You were born and raised in Harlem and yours wasn’t a typical childhood as I have read that, sadly, you lost your mother at a very early age. What were you like as a boy? What was Harlem like at that time? PC: How did he manage to do that? HT: He had a team of people. My father got a team of brothers, mostly of African American descent and they were all Muslim; this was the early stages of him creating a community and he knew these buildings could serve that. He got some brothers together and they cleared out three buildings, about five stories high, right next to each other. And they took it upon themselves to use their own money, and they also borrowed money, to pay for plumbers and electricians and they rehabbed all three of these buildings. He created a tea store, a school, a mosque, apartments, and a movie theatre. I was home-schooled so everything was in those three buildings. They painted the street corner green, so that was all three buildings, and that was to make a distinction between that block and all of the surrounding blocks. All of the drug dealers knew that they couldn’t sell drugs ‘on the green’; they couldn’t do any type of cursing or any type of crazy activity ‘on the green’. Even though I was surrounded by all of that type of stuff, being on that block was almost like a safe haven. PC: Meaning you were sheltered from the worst of the bad stuff. HT: I still got into some fights, and still had to go to the store, and I got teased and harassed but, for the most part, everybody knew they had to stay off ‘the green’ and they didn’t go too far in messing with that. But they always tested us. PC: Was that protected safe zone only for the Muslim community or would they have welcomed other people who were non-Muslim? HT: It was for the Muslim community but I can also recall there were a lot of elderly people who lived across the street, or over here, or over there, and those people were always protected as well. They could reach out to us and say, ‘We are having problems’, and they knew if they came over they were safe. For the most part people knew that if they came over, they were also not to be messed with, because they were covered under that green shield. PC: I was reading about your father actually, and he was quite a remarkable man. PC: What did he pass on to you, which you have carried over to your own life, since his passing? HT: I learned a tremendous amount; he was way ahead of his time. One thing about being Muslim and being African American growing up in the ’70s and ’80s, is that you wore things that distinguished you from the rest of the people. Whether it was your dress code or whether it was your diet or just how you conducted yourself in public, you always stood out. He taught me about a sense of self, discipline, to be a proud African American Muslim, to have courage, honour and wanted me to lead, not follow. PC: What percentage of the people in the community in your part of Harlem were Muslim? Would it have been the majority or more the minority? HT: I couldn’t tell you how many people live in Harlem, it’s a pretty big community; in a mile radius there were probably a thousand to two thousand non-Muslims. (Note: I’m not sure if these numbers are correct; I know there were about 100 Muslims in my mosque). But growing up that way, and just because we looked different and acted differently, meant we were always picked on, bullied, teased, but I learnt at a very early age how to defend myself, and not just myself but also my way of life; defending my diet, defending my God, defending all of that. So my father taught me and instilled in me, how to be proud of yourself, how to stand for something, how to believe in something; not just conform or feel guilty or bow down to whatever the majority said about how we were living . He taught me to be proud of what we believed in, and to be strong enough to defend that at any cost. I never had any feelings that there was nothing I couldn’t achieve, or anything I couldn’t do, or any place I couldn’t go. A quick story is: I was home-schooled until 6th grade then after 6th grade we had to go to public school. And in my first year in public school my father wanted to take the whole family to live in Mecca. I remember telling my father, ‘Oh man! I just got into public school, I got all these new friends like I don’t wanna leave.’ My father told me, ‘I guarantee you, when you come back, everyone will still be on the same corner, and everyone will still be doing the same stuff.’ That was one of the most profound things I learnt: that you can get on a plane, fly 14 hours, spend 6 months here, 8 months in a different place then come back and nothing has changed and you didn’t really miss anything. If anything you gained something by travelling and learning different languages and different cultures. So those types of things were things that influenced me and kind of made me who I am now, all of that is because of him. PC: I don’t know really anything beyond the basics of what it means to be a Muslim. What are the general teachings? HT: The funny thing is it’s not that much different, and when I say ‘different’ I mean it’s very similar, in that there’s a way you treat people, conduct yourself. Jews have Hanukkah, Christians have Christmas, Muslims have Ramadan, which is a month-long celebration. We do not have a Christmas tree but we hung lights on the fire escape and around our building, at the end of the month we give presents; at the end of the month Christians give presents. Christians have Jesus, we have Ahn Nabi Isa (which is Arabic for Jesus). So a lot of things are similar. The things that are different are things that I would say are closest to the Jewish faith, we have a kosher diet, so there are certain foods we can eat and certain foods we can’t eat. I remember in my Muslim community you couldn’t smoke, drugs and alcohol were forbidden, but smoking was also along the lines of being forbidden as drugs. I remember when my father took us to Saudi Arabia, I saw all these Muslims smoking and I looked at him and I’m like, ‘Oh my goodness! We are in the holiest city “Mecca” the birthplace of Islam, and everybody smokes and I have been raised my whole life to think that smoking is like what they call ‘haram’, which is bad.’ It just pointed out to me that culturally, even though you’re Muslim and there are certain rules and laws, things change culturally depending on where you live. In an African American community smoking was really frowned upon but in the Middle Eastern community everybody smokes. Getting back to your original question, about being a Muslim, you know in Islam we have something called the 5 Pillars of Islam, which are like the main things that you are supposed to do as a Muslim. One of them is pledging your allegiance to God, the second is performing your five daily prayers, and the third is paying charity or tax to support the needy, fourth is fasting during Ramadan and fifth is every Muslim is to make Hajj, which is a pilgrimage to Mecca. So those are the five pillars of Islam that every Muslim is supposed to obey, and within those pillars you would just live like the Torah, or the Bible would say: just to be a good and decent person. PC: So you are required to pray on five separate occasions each day? HT: The five separate occasions are: you have a prayer called ‘Fajr’ and that’s when the sun comes up, so you’re supposed to pray before the sun comes up; then you have another prayer ‘Zuhr ‘ which is in the afternoon; and (ASR) in the mid afternoon; and then ‘ Maghrib’ another prayer when the sun sets; the last prayer is late evening which is ‘Isha’. Those are the five prayers; those prayers take about 5-7 minutes each, it’s not like they are taking an hour. A lot of people think that must be hard, but there are all types of ways where, if you can’t make the prayer at a certain time, you can make it up in the evening. If you are travelling, you can make it up later; so it’s not like you’re in trouble if you can’t do each prayer on time. PC: Must you pray kneeling on a mat? HT: It’s called a prayer rug and because a lot of our prayers are done on the floor, touching our head to the floor, knees on the floor, our hands on the floor. It’s just a barrier between you and the ground. PC: When you are at work on The Blacklist for example and you’re there 10-12 hours, how accommodating are they in allowing Muslims to take the time they need to pray? HT: There are some places where Muslims have fought for the right to get off work to do their prayers but it all really depends on the situation, there’s no one way for all. I have enough time on set to make up prayers- there is no need to ask for time. PC: You have talked about being a Boy Scout and how you would like to see more boys be given the opportunity to learn the skills you were taught. What kind of skills do you think would benefit those kids? HT: That’s a great question. When I look back on my life, a lot of people were surprised, or shocked, that I’ve had a certain type of success being African American, coming from Harlem, coming from the urban city and I started to look back at what made it different from me. Of course I had a strong father in my life and Islam played a huge role, but my father made sure I got to do things that normal kids in the city don’t do. The Boy Scouts troop I was in was something that was created out of the Mosque, so we didn’t have to go somewhere to join. The Boy Scouts gave me a chance to learn how to swim, I learnt how to tie knots. I learnt how to put up a tent, cook outside, start a fire, I learnt how to rappel, I learnt arts; I just learnt so much and all of those skills have helped me for the rest of my life. When I went into the Marines, I already knew discipline, I already knew how to swim, already knew knots, I already knew how to survive. When I went to the fire department I already knew all of those basic skills again. When I look at people in the city I think, if they were armed with the knowledge of all of these things, then it opens the doors to so much. And one example I have is: I remember when we would go on vacation and I would be able to jump off the boat, swim, do whatever I wanted to do and swim back to the boat; I would see a lot of my other friends who would go on vacation and they had to put on a life jacket and they couldn’t snorkel or couldn’t get on the boat because they hadn’t passed the swimming test; they were so restricted in enjoying their vacation because they didn’t know how to swim. So that is one example. 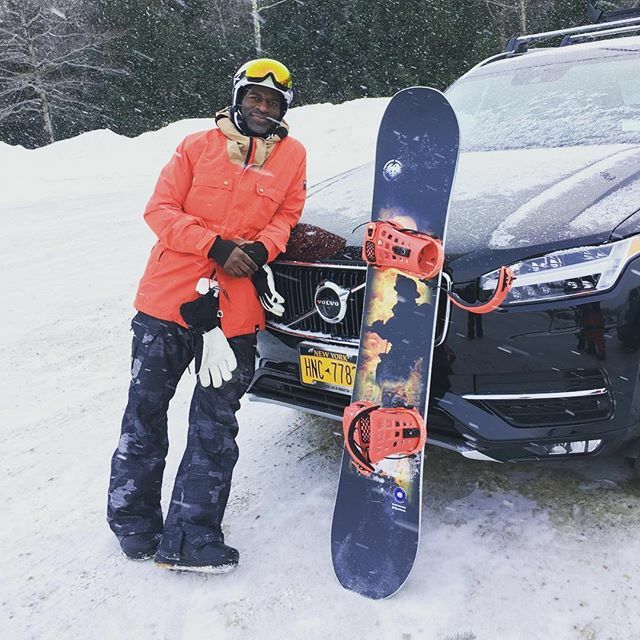 But, to build on that, it’s like when I learnt how to snowboard, that introduced me to a whole another set of friends, a whole another circle of cultures and people who normally African Americans aren’t even introduced to, or around, or involved with. The Boy Scouts were very popular in the ’70s and ’80s but now it’s kind of phased out, so I have been very determined to figure out how; and I’m in the process of doing it now. Even if I can’t manage to form a Boy Scout troop, it would be some kind of organisation where kids would get the same teachings and skills, even though they might not be an actual Boy Scout. They could learn about the outdoors, tools and trade and discipline. All of that stuff is stuff you are going to need if you want to have some type of success later on in life. PC: Yes it really does pay off having those skills, my son was both a Boy Scout and an Army Cadet, when he was 17 he went to Malawi for a month, camped out the whole time, and all the skills he had learned like making fires and cooking outdoors proved to be invaluable. PC: Getting back to Harlem, do you think certain films have unfairly depicted the city as being all about drugs, the poverty and crime, and not nearly enough on the cool stuff like the music, the fashion, the community and its characters during the 1970’s? I have been looking at a lot of photographs taken from that period and some of the fashions and hairstyles look so good. HT: It was a combination of both: you had the poverty, you had the drugs. You had all of that but you also had the renaissance movement where you had the best musicians, the best entertainers, you had the best artists. It was like Harlem was the Mecca of culture and entertainment; where everybody came to have a good time. And even though I was surrounded by the bad stuff, I remember going to The Apollo and watching shows. I remember seeing African drummers on the street, I remember seeing painters, I remember going to parties and dancing; it was like this pot where it was all mixed in together, and you just had to navigate the overwhelmingly bad stuff, to experience the good. PC: I always think it must have been amazing, the music and dance scene at that time; it would have been so good. PC: As a teenager were you pretty smooth, or more awkward like most of us? HT: Being a teenager for me was interesting because, when I was a teenager, it was at that age my father passed away. I was the oldest of five brothers, one of the oldest in the whole community. I was always looked at as a leader, especially anytime one of the younger ones got picked on, anytime the sisters got picked on I was the one that was chosen to defend them; I would have to fight to protect them. So I didn’t really have this fun, fun, kid’s life, I was always on call and always on duty and when my father passed away, at the time of me being a teenager, it just got taken up a notch as far as my responsibilities went. I think I’ve always been just in a position of working and providing and protecting, and you know, every once in a while, I will have fun here and there but my mindset was always, there was just so much work that had to be done, that I didn’t have time to really relax and play, I guess. I’m at a time in my life where I’m starting to do that now. I will say, as a teenager though, my outlet was being physically active. I was in karate early, swimming early, I was in track, then I took football and African dance; so I was always being physically active as opposed to just kind of laying back, enjoying life. PC: I have read that you did in fact take your first lesson as a kind of dare, tell me about that? HT: I played football in high school and I had this dream of going to the NFL and I just kept on getting injured, broke my thumb, then broke my ribs, got hospitalised for two weeks. In my high school there was a dance class and of course all the girls went to dance, and they used to cover up the windows so we couldn’t peak in- but you could always peak around whatever they covered the window with. One of the things they covered the window with was a poster of a famous football player named Hershel Walker, and on the poster he was wearing tights and he was dancing with a ballerina; I didn’t know at the time, but he took dance classes to help him as a running back with his balance on the football field. So my friend was like, ‘Hey! I dare you to take a dance class,’ and my thinking was, ‘Here’s a great football player in a leotard and if he can do it, I can do it,’ so I took the dance class because I couldn’t play football, because I was hurt, and that was my first introduction to dance- and especially the drums and African dance – and I fell in love with it, and I never went back to football. I danced for about 10 years. PC: Jumping to the point in your life where you joined the Marines, I read that your father had served in the Air Force. Is that correct? HT: Yes my father was in the Air Force. Before he passed away, he expressed he wanted me to go to Cornell; I think he wanted me to go to medical school. But when he passed away in my senior year in high school, I kind of lost focus and that’s when I had the choice of going to school, or travelling with my dance company to France, so I chose to go to France and travelled around with them. When I came back from France I didn’t have any parents, I was a little misguided. I started to get into a lot of trouble but there really wasn’t much thought put into it. I woke up one morning and I said, ‘I’m joining the Marines,’ and I left the next day and that was it; there wasn’t a lot of thought, I just knew the road I was going down wasn’t good. PC: Yeah, so it was a kind of an escape from that wrong path you were likely to end up going down. PC: You were deployed during Desert Storm. I was reading a piece that a marine had written about his time there, he said it was the best of times and the worst of times. How does this statement compare to your own experience? HT: For me it was interesting because, for one thing, I remember this was the first time we were going to war since Vietnam, so a lot of people were afraid, and the only thing they could picture was that they were going to end up with the same casualties and stuff that they saw in Vietnam. But for me, all I could think of was: I had spent time in Saudi Arabia so I had an idea of what I was going back to. They bombed the airport in Kuwait, so when my unit got in there, a lot of people had already surrendered. We had a camp that was set up that was separated from a lot of the insurgents and scouting efforts that people made, so I didn’t really experience nothing compared to what it is now, or really see any type of action or that kind of stuff. My experience was completely different. PC: Do you keep in touch with any of your fellow marines from that time or have you all just kind of lost touch? HT: There’s one person who reached out to me, who was in boot camp. He reached out about three years ago. He’s in North Carolina and came to the city and we caught up and hung out, but he’s the only person I have stayed in touch with from back then. PC: And your next job was working as a corrections officer at the notorious ‘Sing Sing’ maximum-security jail. What was it like working there? HT: When I was in boot camp I made a list of all the things I would do when I got back and I told myself I was going to take all the exams I could, so I took the fire departments, I took corrections, I took sanitation, I took all of these exams. That was my reason for becoming a corrections officer, and corrections was pretty wild because a lot of the people who were locked up were a lot of people from my block, so then the dynamic became, ‘Hey, I know you! You’re my man!’ But we weren’t friends on the street, these were the same guys who used to bully me and fight, but were now trying to act like we were buddies. That created an interesting dynamic but then, based on who my father was, through his legacy, I got a tremendous amount of respect from the Muslim population in the prison and I actually became appointed the person who was in charge of escorting them to prayer, escorting them on Ramadan, taking them to the movie theatre; so just taking the Muslims around. I did that but it was kind of still a depressing job, an exhausting job, being surrounded by that many people being locked up on a daily basis. HT: The funny thing is not too scary because all of these guys I knew, or guys like the guys I knew, they all came from like that same element. The only scary thing I would say was you realise that, even as a corrections officer, you really are powerless. They make it seem like you have power, you can tell somebody to get in their cell then lock it, but at the end of the day, when they want to rise up, when they want to act out, then you’re outnumbered really; that was kind of the scary thing. But, other than that, it was just a depressing environment but luckily, when I got to my threshold of not being able to take it anymore, that’s when the fire department called me and I just left that job and joined the New York fire department. PC: I was reading that they have introduced a theatre studies programme for the inmates which has apparently proven to be moving the prisoners in a very positive direction. What do you think the benefits of learning theatre skills would be to somebody in prison? HT: I know what it did for me and I know a lot of artists, period, would speak on this, but especially being an actor, if you want to be a good actor you really have to learn about yourself first; you have to learn about yourself before you can take on anybody else and in learning about yourself, you really have to know what your fears are, what your wants are, what your needs are. You have to learn all of that, and in learning all of that, then for me, I know you want to be better once you find out what your bad parts are. So I would think that those people who are in correctional facilities, if they are introduced to these type of arts or theatre, then they have to go through that same self-examination experience. Going through that self-examination like I said, again the end result is you want to become a better person and also in taking on theatre, if you read all of these playwrights and you read all of these stories, you’ll start to see a pattern as far as mistakes and fears. You will see a character doing something and you’ll be like, ‘Dude, can’t you see that’s a mistake?’ Then you start to realise that’s you, or that’s a friend, or that’s your mother, or your father and then it just all starts to connect and come together. I think theatre is a powerful tool for people who are institutionalised to just re-examine themselves and change to become the best person they can be. PC: That makes a lot of sense, yes. You served as a firefighter in New York City for 20 years; you must have seen it all in that time, did you? HT: Yes and no. Being a firefighter also meant I had the honour of working in Harlem so I started to serve the community that I grew up in, so yes I saw a lot of stuff on the street, but being a firefighter meant I was now going into the homes of a lot of the people I saw on the street. So you are introduced to a lot of the conditions of the poor, of the drug-infested or people dealing, so you are really thrown into that world and then now you have to help. In the beginning it didn’t affect me, you know, I was just doing my job. Then it really started to affect me: how people were living, and what they had to live with, what they had to overcome. In the city we have these things called ‘projects’, some of them are 15 storeys, some of them are 30 storeys high and when you have an elevator that goes out of service, how does someone in a wheelchair that lives on the twentieth floor get down to the first floor or if they go out and they come home, how to they get up? Some people don’t leave, and then they gain weight so we were going to a lot of calls to people who had gained weight; we were going on a lot of calls to people who had got up to 400 or 500 pounds and they couldn’t get out of their apartments. So you were seeing a lot of pain. I saw a lot of poverty, and it was heartbreaking, but also rewarding in that I did my little bit that I could do, to help and serve the people of Harlem. PC: I was reading an article about a firefighter who wrote when he put on his uniform he felt two feet taller, just because of the sense of pride you have when putting your uniform on and doing that job. HT: Yes, and comparing myself to that, I think putting on my uniform is the closest I would ever get to feeling like Superman with a cape, because you feel like you are immortal and you can just do anything. PC: Was your company in attendance on that fatal day that everyone will always remember, 9/11? Were you on duty that day? HT: I was actually working for a company that hired a lot of fireman and police officers. There’s an event we call ‘Fashion Week’; it’s when all of the fashion designers all over the world, come together and they have these cat walks and fashion shows with designs for the next season. I was working, doing security at one of these events, one of the guys I was working with was from my firehouse and he was like, ‘Hey! We just got a report that the World Trade Centre has been attacked.’ And I had only had like 5 years on the job so I didn’t really understand what that meant. I was like, ‘Okay, we are at work, we can’t really do anything,’ and that’s when it came in that all the firemen and policemen that were working had to report. He and I jumped in our car and we drove up to Harlem, put our uniforms on and went down to Ground Zero at the World Trade Centre. By the time I got down there, building one and building two had already collapsed and they were in the process of evacuating building seven, so I was down there when building seven collapsed. PC: The massive loss of life, not only in the emergency services but all the people who lost their lives that day, and the days and the weeks and the years that followed, how did that affect, not only yourself but everyone living in that area at that time? HT: I know for me it was very, very delayed, I think a lot of firefighters for so long thought we were immortal, especially when we went to work. I think the first time something happened, we couldn’t even comprehend the thought. I remember thinking, and believing, everybody was somewhere, we just hadn’t dug deep enough. It took a long time for it to sink in that we had lost people, lost very good friends in the firehouse; to this day it still affects me. I have been blessed not to have any of the lung issues that a lot of the guys have come down with from digging for bodies. Psychologically, it’s something that I don’t go a single day without it crossing my mind. My best friend that passed away, he had a son, his son and my son went to the same school so I have tried to do my best in being there for his son. I am still in touch with him now and, just seeing how much he has grown and what he had to go through, I just look at is as; I hope the little I can give to make it easier for him is helpful, but I think the effect it had is something I sometimes struggle to describe; I am still going through stages of grief. PC: There was a lot of unrest, and fear it seemed, about people who were Muslims after the attack. How did that kind of negativity, and scaremongering almost, make you feel as a practising Muslim yourself? HT: That was probably one of the hardest struggles for me. First of all In the New York City Fire Department, although we are one of the most diverse cities in the country, the fire department is the least diverse, so out of 10,000, less than 2 % are African American. PC: Wow! I am surprised at those statistics. HT: First of all I was dealing with just the battle of being one of the only black firefighters in my firehouse, so that’s 200 black firefighters out of 10,000 on the job, on the Force. Period! That was always a fight coming to work and then being a Muslim, on top of that was another layer of battle. Before 9/11 everybody already knew I was Muslim and that I didn’t drink or smoke and that I had a certain diet, and everybody knew how I conducted myself, so it was just very disappointing to have to now explain or defend myself or my religion, or feeling now I’m to blame for what happened, and then to almost get put into a position where I was kind of told I had to choose a side. I was now seen as being anti-American because I was Muslim, which is ironic because I’m a firefighter who could have died responding to those attacks, so that really was a huge blow; the ignorance that came along with that was just another fight. Like I said, I was used to fighting, because I had been doing that all my life, but when you work with some people for 10 years you would think they would treat you, and judge you, accordingly to your actions; so it was just very disappointing. I had a lot of people turned their back on me, or stopped talking to me, or got into arguments because of my religion; so 9/11 kind of really took it up a notch and put another layer on it. PC: That must have been very hurtful and frustrating for you to experience. Moving onto your acting career: you started with dance classes, went on tour with a dance school then started getting more dialogue which made you switch to acting. HT: I did dancing and then it was just a natural progression, a lot of theatre was being added to the dance so it was like, ‘Hey, okay, I’ve been dancing now, let me cross over and see if I can add some acting to it.’ So it just happened like that and I took one class, then went to another class and I just continued to study, along with juggling my day job. PC: I watched the short film you were in, ‘Counterfeit’, written and directed by Geoff Bailey; I thought for a short, it said a lot. Would like to try your hand at being on the other side of the camera, in writing, directing or producing? HT: Yes, absolutely! I am actually in the process now of doing a couple of things. One just a lot about my life, then also I really just want to tell my story of my experience as a black firefighter, those are the things I’m taking on now, just putting me on the other side of the camera. Then there’s a couple of projects that I’m actually executive producing and producing, which is a little scary but I think I just need to learn that side of the business, rather than just being an actor. A video exploring the close relationship between Dembe and Red, by Monique Martin. PC: That’s exciting! 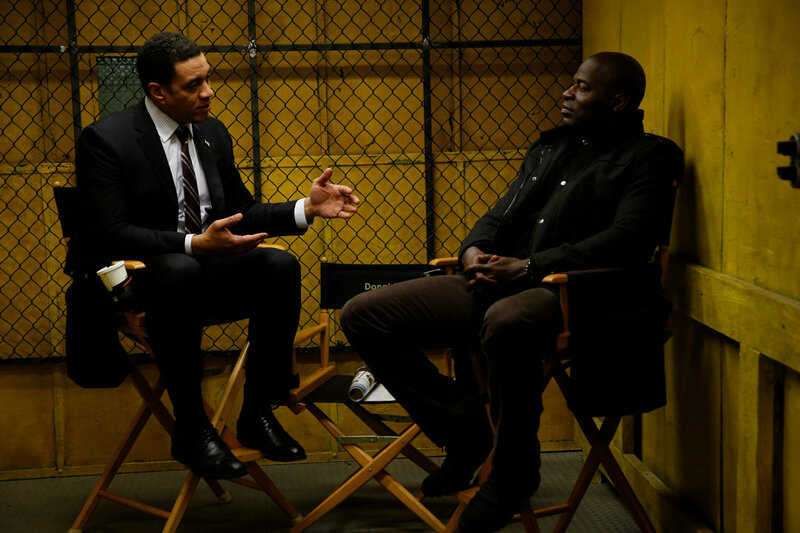 How did you secure your role as Dembe Zuma on The Blacklist? What did they require from you? When you went to the audition how much did you know about Dembe’s character? HT: I didn’t know anything, I was told it was improv and that he was an ex-freedom fighter from Sudan, they didn’t give me any lines, they didn’t give me much of a back story. So I went to the audition and they just asked me a whole bunch of questions; as an actor I created some answers and they liked it, and they called me back a couple of more times. Actually I had a trip to Argentina for snowboarding planned and was only meant to be filming for one episode, the day before I was meant to leave, The Blacklist people said, ‘Hey, we need you for another week.’ So I pushed my trip back a week. It was a two-week trip so I said, ‘Okay, I will catch the second week.’ And then The Blacklist were like, ‘Oh, we need you until December,’ and I was kind of upset. I was like, ‘Aww man, I’m losing all of this money on my Argentina trip!’ And my manager was like, ‘Are you crazy? You can go to Argentina anytime.’ That turned into four years! PC: As your character works very closely with James Spader’s character, Raymond Reddington, how well did you and James get to know each other before filming began? Since, obviously, you need to have some sort of connection to make it work. HT: Well usually they do a screen test; you have to work with the person to see if you have chemistry, I never did any of that. Like I said originally, I wasn’t supposed to be on The Blacklist for that long, I was only meant to be on one episode. On my first day on the set, James really went out of his way to introduce himself and we basically had a conversation, like we are having now, about my father, about my religion about politics, about where I grew up; you know we learned so much, before we even shot the first scene, which I really think helped with the chemistry for both of us. So that was the genesis of us working together. PC: Did that work both ways? Did James share details about his life with you, to enable you to gel with him? HT: No he didn’t. I have to say, throughout the seasons I’ve come to learn more about him, but I think in the initial introduction it was mostly me sharing my history but later on, through conversations with him, I learned about him, what he likes, what he does; so him sharing details about his life, with me, came much later. 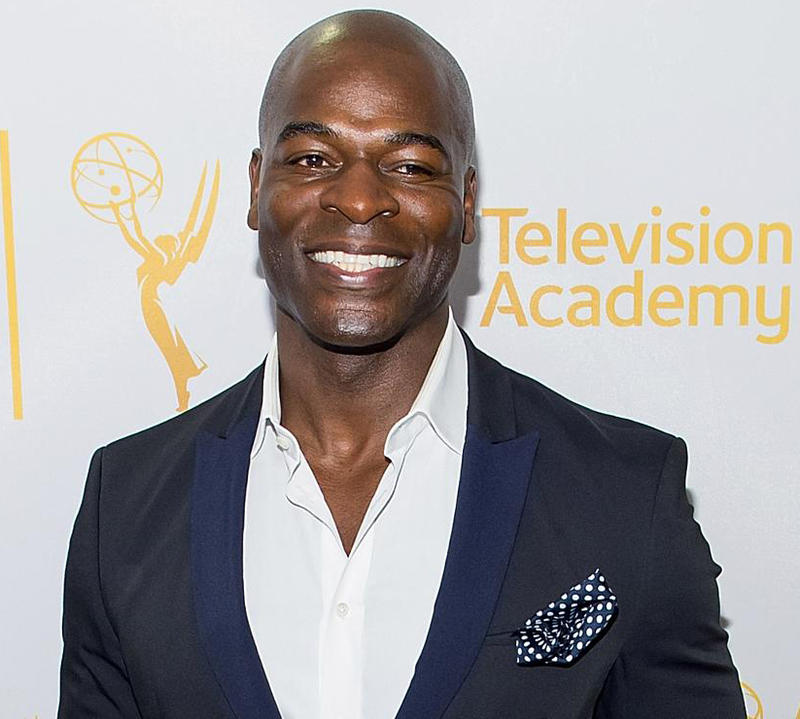 PC: When we first see Dembe he doesn’t have any lines of dialogue, or very few, I know that at first you struggled with this because an actor wants to act and have lines. Of course, the first thing you learn in acting class is less is more, so I took that on. And the interesting thing is, I began to take on the presence of my father, the presence of a lot of brothers I was surrounded with who were on security details, or who were just extremely disciplined. Because, growing up in Harlem, we used to have what they call ‘security watches’ so somebody would always … There was a team of brothers who would always stay up and just make sure they didn’t have any problems with the drug dealers, or people breaking into the buildings, or people getting robbed; so there was always somebody on duty and I was used to always being surrounded by them. So I actually began to take on a lot of my family members and uncles and my dad, who I used to see on security, how they carried themselves and how much pride they took in doing it; so I basically just took that on and challenged myself to just be the best person I could be. PC: Yes, you don’t have to show your muscle or use your fists. PC: I’ve watched interviews with some of the other cast members talking about James Spader as an actor and they all seem a little in awe of him, or actually a lot in awe of him. Can you describe, or convey, what it is that makes him so special as an actor? HT: I think James is the first person I’ve come across who- and this is another thing that they teach you in acting class, but there are very few people who put the time into it- and that is being specific in detail. He puts a lot of energy into being extremely detailed with his choices, with his mannerisms, and you have to be in awe of that because, as an actor, we know hard it is to take on another character, especially based on life experiences we have had. HT: You know what I think it is? It’s the little things that we don’t see. When we see his performance we are in awe of it but then, it is what is he doing that is making me in awe. One of the things I’ve seen him do, which I’m going to incorporate into my own actions is…I have never seen before…usually an actor comes to the set, they have their lines and the first thing you do is, you see the person and the director’s there and you say, ‘Okay, let’s run the lines and create this.’ James will come in, and one the first things he does is he takes in the surroundings of the set, and he will be like, ‘Okay, that lamp would be over here,’ or, ‘that shade should be a different colour,’ or, ‘you know what…the sun would have set,’ or, ‘my hat would have been over there’. So, before he even gets into the dialogue of it, he is solely looking at the surroundings of the set that’s also going to help tell the story, and he is making sure that everything is in place to help facilitate the storytelling; which I’ve never seen an actor do before. An actor comes in and they accept whatever’s there before them; whatever the set is, whatever it is, they go in and they create in that space without challenging it; James challenges the space to make sure it’s authentic to the scene. PC: Final question about James. What three words would you use to describe James Spader, not as an actor but as the man he is? I ask you this because I know you are a fan of TV show ‘Westworld’. I recently interviewed Louis Herthum, who portrays Peter Abernathy. He had that fantastic scene with Anthony Hopkins where he does his, ‘I shall have such revenges on you’ speech. Louis told me Anthony Hopkins is so very humble, a kind, giving and warm man and- he is all of those things even though he is held in such high-esteem and is Sir Anthony Hopkins and a fantastic actor- he does not see himself as being special. HT: I’m so upset I didn’t say those things about James before you brought it up because that’s what separates him, and that goes back to our first initial meeting. I have been on set where the main actor doesn’t introduce themselves, doesn’t ask me anything, doesn’t want to know anything. Some of them won’t even introduce themselves, they do their scenes and when they are leaving they say, ‘Okay, have a good day.’ What speaks volumes as to who James is as a person, is that we had this hour-long conversation on our first meeting, a real in-depth conversation, about who I was as a person and what my make up was, where I come from. I’ve never had anybody do that before in my life, especially the main person on the show. PC: So that there is what makes him special straight away, isn’t it? HT: Absolutely, and the funny thing is, I would never have compared him to anyone else but Anthony Hopkins and, as far as going by what Louis Herthum said Anthony’s spirit is made of, I would say James Spader is cut from the same cloth in that way. PC: I’d have been surprised and disappointed even, if you had of said he was anything other than caring, giving and a genuine, nice man. 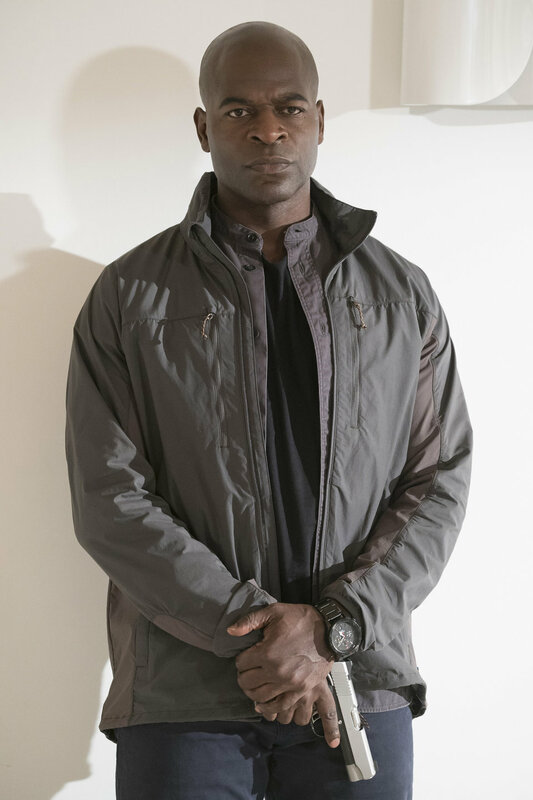 PC: Getting back to you, your character Dembe has had some really powerful scenes and probably my favourite is the one in the ‘Anslo Garrick’ episode, where you and Red are reciting the prayer, when you are about to be killed. Did the writers seek your advice on the authenticity in the way it was delivered, since you speak Arabic? HT: No, the interesting thing is, I used that same prayer in my audition. HT: Yes, in improv I used that same prayer. So, when I got the script, it said that Dembe was reciting a prayer with Red but it didn’t say what prayer, so I took it upon myself and I approached the director and I said, ‘Hey, I know a prayer that works perfectly for this, I speak Arabic, I think Dembe would speak Arabic.’ And he said, ‘Hey, go for it!’ So I sent the prayer over to the producers and executive producers and creators of The Blacklist, I sent them the meaning in English, I sent them it in Arabic, I told them what it meant and I have to give them a pat on the back for going with it. They were like, ‘Okay!’ I think that was a huge turning point for Red and Dembe’s relationship; I believe it was a turning point for the show also. And to this day I’m still approached by the largely African and Muslim community, because it is very rare that you see a character speaking Arabic that’s not blowing up something, or being the evil guy, or the bad guy and we don’t see many characters speaking Arabic in an intimate moment, or an honest moment. I think it connected to a lot of people so to this day, like I said, I still have African Americans, Muslims, a lot of a lot of people from the continents of Africa coming up to me and thanking me, and some people walk up to me reciting the Surah, so it was definitely a great moment, I believe, in the show. PC: There have been some extraordinary episodes, but I do think that is my favourite because it is so emotional and intense and heartbreaking. HT: Yes, and again James jumped on it, learned it, learned it, until it sounded authentic. PC: Oh yes of course I never even thought about him reciting it also. Did you help him with that? HT: Yes but they also brought in a dialect coach, so all three of us actually sat together and worked on it. I started out working with James but then they brought in the dialect coach also. PC: What would be one of your most favourite fun episodes? You have enjoyed some real funny moments throughout the seasons. I loved the one in the doctor’s waiting room where you and Red are trying to find the sailboat or whatever it was in the kid’s comic, it was very funny. HT: I like the introduction in the confrontation with Mr Soloman, I loved that. I love action scenes, so I loved the scene where I got held captive then escaped with Paul Ruben’s character. Those are probably some of my favourite episodes. PC: One thing I wonder about, and you probably can’t answer this, maybe it’s more of a question for the writers but you know the campfire scene in The Vehm episode when the couple are singing ‘Michael row, row your boat’, and Red is really enjoying it and smiling…why did Dembe put a stop to it? PC: Like, you’re just being silly now! PC: Even though that’s what you enjoyed doing in the Boy Scouts? PC: So since you know your character so well, to what depth do you suppose Dembe feels guilt or remorse over Red’s shooting or, as far as he knows, killing of Mr Kaplan, given his reluctance for Red to kill off Geoff Perl in the ‘Mombasa Cartel’? We have seen Dembe struggle with guilt but do you think he feels he should have intervened? HT: I was thinking about that the other day. If we look at the history of where Dembe came from, you know he was surrounded by that, he was probably tortured by the senseless killings, so I think Dembe has taken it on himself that- as much as he is loyal to Red- at the same time I think Dembe would rather always have a peaceful resolution but also, at the same time, he has been trained or prepared to take care of whatever obstacle is in his way, he would rather reach a conclusion in a less violent way. Even though he and Red are in a world surrounded by violence, and he understands that, but if there are times that violence and senseless killing can be avoided, why not avoid it? I think, right now, Dembe is probably struggling with that. Seeing all the people or his family that were murdered senselessly and now he’s part of that but not to the same extent like before, so I think it’s just something he’s struggling with. We will see how he evolves from this point. PC: How long is a typical day on set and how much of that time is spent off camera and what do you do apart from go on social media in between takes? HT: I usually do something like 10-12 hours on set. Out of those 12 hours I would say probably an hour getting your makeup and hair done, another 20-30 minutes spent rehearsing, then an hour spent on setting up the shot. So at the end of the day you might do maybe 8 hours in front of the camera collectively, well maybe not even 8 hours because you have an hour for lunch or so, so maybe 7 hours out of that 10-12 hour day is actually shooting or filming. PC: It is a long day though. I mean, you will be used to that with your marines and being a firefighter, but for other actors it must be a long day especially when it’s cold or if they are sweltering in the heat? HT: Yeah, yeah, yeah the elements will definitely affect how the day goes, but like I said I have been trained in my other jobs to deal with whatever the element is. As an actor they cater to making you as comfortable as you can be in the elements. So yes, for me it’s not as bad as I’ve experienced with other jobs. PC: I suppose it’s an actor’s life but you will be more used to, and have more of a tolerance for, those things. When I interviewed Brandon Sonnier, he said the writers are a very close bunch, are the cast close? Who do you hang out with? HT: I was talking to Amir Arison the other day, he has been to LA a couple of times and hung out with the writers but I haven’t met the writers, I only interact with the writers on Twitter or .. we have a fantasy football thing. PC: Ahh yes, the much coveted Spader Cup. HT: Amir and Harry Lennix are probably the two cast members I’m closest to, because Amir and I both entered the show in the same way- as far as knowing what our role was and it slowly turned into something- so I think that’s how we connected, then we have just continued to do so. I don’t know what it is that we have in common. When I’m on set I do chat with everybody but as far as being off set: Amir has been to my house for barbecues, or we have hooked up for birthday parties, him and Harry came to my fire service retirement party. So there are just different levels of friendships. PC: You have already acted in film. Are there any directors or actors you admire who you would aspire to work with in the future? HT: I would love to work with Don Cheadle, Anthony Hopkins, Denzel Washington, Meryl Streep and then there are a lot of actors I came up with, so we all know the struggles, I would love to just work with them, just based on us all coming up together. PC: I was going to ask you about social media, you obviously enjoy being part of it, but how important do you think it is to stay connected with the fans? Or maybe you think it’s not important, maybe you just enjoy it. HT: No, I said this a long time ago, because of the way I got onto the show and starting late and me being on the other end, as far as reaching out to my favourite actor or director that I was following on Twitter, I know how much it meant for them to respond to me. So I’m not too far removed from that, so that’s why I’m really making an effort to interact on social media with my fans. HT: I have to be thankful. I’m always humbled. I don’t take it for granted so I make sure I’m thankful and interact as much as I can. PC: Yeah, and I like when you tweet your ‘Harlem morning, have a blessed day’ message a few times a week. HT: I got that from being a firefighter, because one thing I knew as a firefighter, every morning we woke up between the hours of 6-7:30am, you would always do a call of somebody who didn’t wake up, and that happens every day, and I don’t think people really know that there are people who don’t wake up every single day. That’s where the ‘Harlem morning, you woke up breathing for a reason’ came from. PC: It’s about being thankful you’re waking up that day. PC: You recently had a flying lesson, how did that go? PC: I asked on one of the fan pages if anyone had a question for you and one member asked: Everybody has something about their job they do not like or wish they could change, is there anything you would change? HT: As an actor, everyone wants more so I would always want more, even though in some aspects I understand the role and what Dembe’s become, but that still doesn’t stop me wanting more. 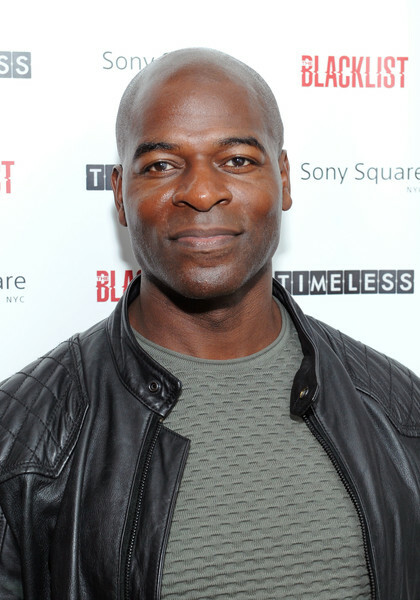 PC: Another question asked was: what scene would he like Dembe to do he hasn’t yet? So is there anything you would like Dembe to do that hasn’t been seen so far? HT: I would probably just want to see more of Dembe’s private life, and maybe… and I don’t even know who it would be with but…it would be good to have an in-depth conversation with somebody, I mean, not Red, because he knows so much about Dembe already. PC: The final question is a weird-type fan question. 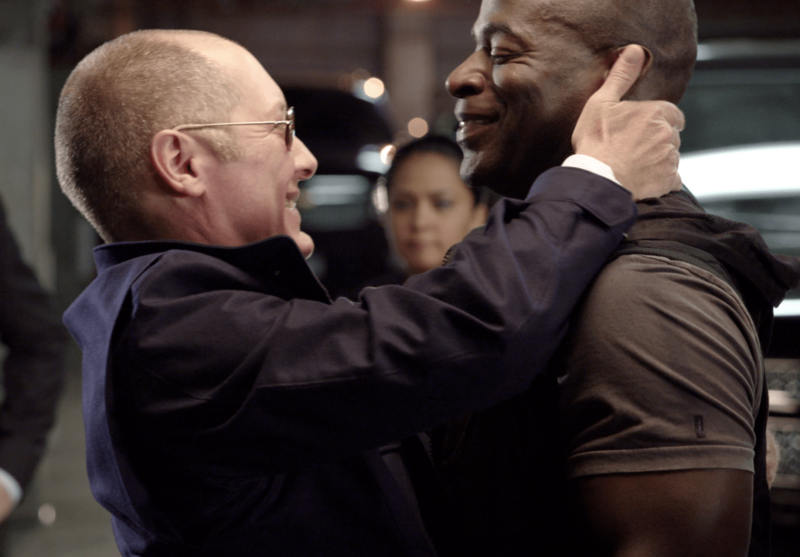 We were discussing what aftershave Dembe and Red might wear, can you help us out? What would Dembe smell of and what would a fine gentleman such as Red wear? HT: On the set actually actors can’t wear anything that has a scent, but in my personal life my favourite is Palmer’s cocoa butter, after I shave that’s what I put on and have done so my whole life. HT: Laughs I have no idea! PC: The commercial Red and Dembe made was fun to watch! HT: Filming the commercial was fun! Pretty cool, and since we are in a lot of scenes together, it made sense. PC: Your character Dembe has a Spotify playlist: how many of his choices, would be on repeat on your personal playlist? HT: About five of those tracks I would have on repeat. PC: Which song or piece of music, would you love to see used in an episode of The Blacklist? HT: Any music by Anthony Hamilton or Blitz the Ambassador. PC: You are one of five brothers, was there a lot of music being played in your house as you were growing up? HT: No, we didn’t listen to music. We listened to a lot of stories on the radio. PC: Did you learn to play any instruments when you were growing up? or were you more likely to be found singing or spinning records perhaps? HT: I took brief lessons with the trombone and later took djembe lessons. PC: Have your tastes in music changed as an adult whom has experienced such a lot? HT: No, not really, I’ve always listened to all types of music. PC: Which record last excited you and got you snapping your fingers? PC: Which song do you just have to play at absolute full volume or sing along to? PC: Can you remember the first album or single that caught your attention? PC: Which song or album soothes lulls you into a relaxed state? HT: Any Anthony Hamilton album. PC: Do you prefer typically upbeat music or more chilled music? HT: It really depends on my mood. PC: Can you tell me which three pieces of music or styles of music you adore? HT: Reggae, R&B and Rap. PC: Do you own any band t-shirts? HT: I think I have a Bob Marley t-shirt somewhere. Final three questions I ask everyone I interview. PC: What is your Favourite word to use? PC: Describe your perfect day? HT: Every day I wake up. PC: I can’t live without..? HT: Working out, snowboarding and praying, my wife who has become my best friend along with my son and family. Thanks to Hisham for giving me such a fantastic and detailed interview. I’ve been saving this to read for a time I knew I wouldn’t be interrupted & I’m so glad I did. So much to appreciate. Hardships overcome by service & community. His love of his Muslim faith comes across beautifully & simply. His sharing of prejudices he’s faced because of his religion was sad & shocking to me, but an eye opener. How the learning of skills creates opportunities & friendships which I completely agree with. I loved finding out Hisham was behind the reciting of the Arabic prayer in the Anslo Garrick episode. Such a beautiful scene & that prayer added so much to it. One of my all time favourite moments on the show. It’s obvious he’s loving being part of The Blacklist! Almost as much as the fans love what he brings to Dembe! 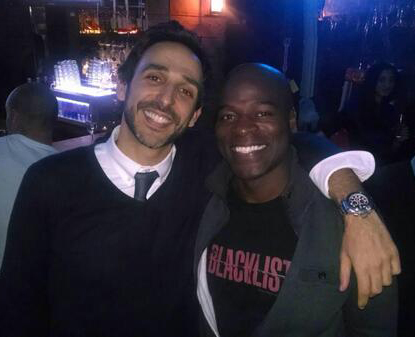 I’m even more excited for the return of The Blacklist & Dembe Zuma’s own episode! I’m always a #DembeLoyal & I look forward to more of Dembe being revealed. What I always love about these interviews is the combination of two of my favourite things, The Blacklist & Music. So I will be checking out Anthony Hamilton’s music! Thank you, to the both of you, for such a great interview! If there is a thing called a man-crush – I think I have one (and yes I do have a girlfriend). This man is just amazing…!